Mr. Michael Mirilashvili was born in 1960 in Kulashi, Georgia. He acquired his medical education at St. Petersburg Medical School in Russia and graduated in 1983 after specializing in pediatrics. Already as a young physician, Mirilashvili entered the business world and before long his business went global. Today, Mr. Mirilashvili’s corporate group encompasses hi-tech companies, as well as commercial and real estate development enterprises, and management and maintenance offices. Mr. Mirilashvili has long devoted his time and resources to a wide range of philanthropic activities that benefit the Jewish People and State of Israel. He strongly supports Jewish communities in the CIS (Common Wealth of Independent States) and contributes generously to the restoration of synagogues and the development of communal institutions. He likewise endeavors to effectively build bridges between the Jewish communities around the world and the State of Israel. Mr. Mirilashvili is the President of the Euro-Asian Jewish Congress (EAJC) and the Vice President of the World Jewish Congress (WJC). In addition, he is the Vice-President of the Russian Jewish Congress and the President of the Jewish Congress of St. Petersburg. He has also served as the President of Maccabi Russia for 25 years, and serves in many other public and philanthropic institutions. Within the framework of these activities, he endeavors to promote human rights, strives to enrich Jewish education around the world, and generously donates to the establishment of new synagogues and soup kitchens. 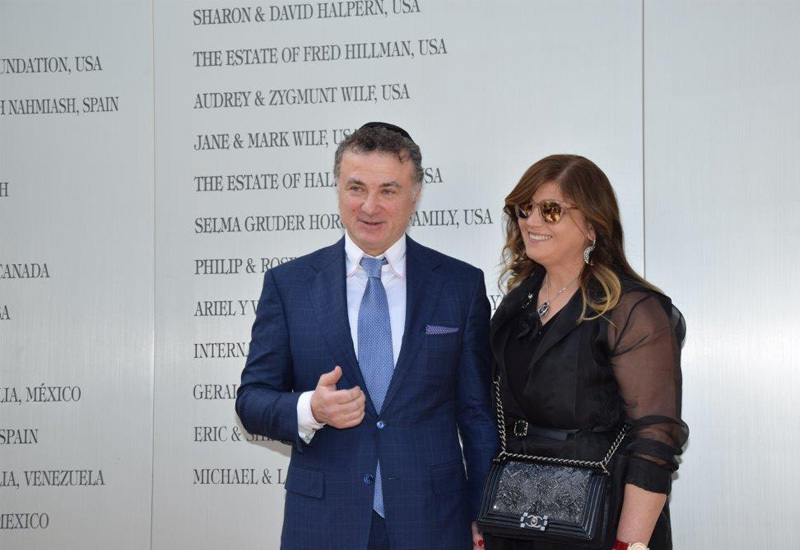 Michael Mirilashvili conducts wide international philanthropic activities through Keren Hayesod and has donated extensively to a series of projects of major national and international significance in Israel. The repatriation of Jews from the states where they suffer mistreatment and ZAKA, an organization that he formerly chaired, are among the important projects that Mirilashvili supports. More recently, he dispatched a jet bearing Israeli physicians and paramedics to help the terror victims in Burgas, Bulgaria, built a fire station following the Carmel Forest fire disaster, and donated several Torah scrolls to IDF units. Mr. Mirilashvili is likewise a generous supporter of the Moshe Mirilashvili Center for Research on the Holocaust in the Soviet Union at Yad Vashem. Michael’s wife, Laura, is a partner in his many charity projects. The Mirilashvilis have two children, a daughter, Tamara, and a son, Itzhak, and six grandchildren. Itzhak Mirilashvili, the founder of the Russian social network, Vkontakte, is perpetuating his father’s philanthropic tradition.